Recently Professor Stephen Hawking in a paper posted online claimed that black holes do not exist - at least, not as we presently know them (many used this sentence “Black Holes does not Exist” just to attract more attention of readers). He also claimed that the traditional concept of a black hole's "event horizon" from which we think nothing can escape, not even light, is incompatible with current approach of quantum physics. If so, physicists will have to redefine the concept of black holes completely. 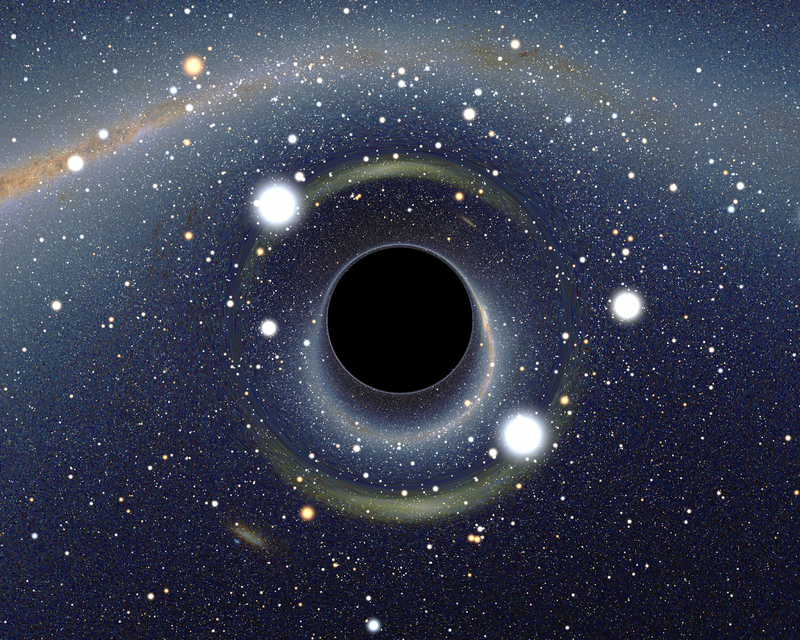 According to Professor Stephen Hawking, "The absence of event horizons mean there are no black holes - in the sense of regimes from which light can't escape to infinite". Professor Stephen Hawking’s current paper "Information Preservation and Weather Forecasting for Black Holes" has not yet been issued or published, but can be easily read online. Usually, media and the scientific community would wait until the peer review procedure was complete before sitting up and taking notice, but while the writer is Stephen Hawking things change a little. Professor Stephen Hawking has studied black holes for decades, which we all know that and was the first one to challenge the concept that nothing can escape from the gravity a black hole. Professor Stephen Hawking also speculated that black holes may produce a type of radiation now known as "Hawking radiation". The idea of Hawking radiation is now widely accepted. According to Professor Stephen Hawking’s new paper, instead of an event horizon, black holes have an "apparent horizon". This apparent horizon only grasps energy and matter momentarily, and it is eventually released. This idea of apparent horizon would settle quantum theory and general relativity's predictions for black holes, and will also solve the "black hole firewall paradox" that has been troubling physics for the past two years. You can also read his paper online, or you can read the extensive discussions in New Scientist and Nature to gain a better understanding of this new assumption.